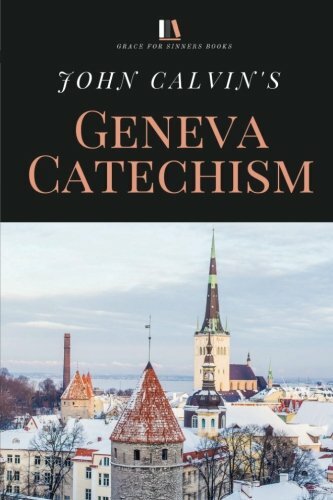 In the catechism of John Calvin, baptism is given a role of great prominence. In the sacraments, "God communicates himself to us" (Q. 309). The revelation of God is not restricted to the preaching of the word. There are truths and benefits contained in the promises of God delivered in the sacraments. 328 M. Do you attribute anything to the water, only as it is a figure of cleansing? C. I consider it to be a figure, but at the same time, it has the substance connected with it. For God, in promising us his gifts, does not deceive us. Therefore, as forgiveness of sins and newness of life are offered to us in baptism, so it is certain that they are received by us. In Q327, Calvin has just finished defending that we cannot "wrest this honor [the laver of the soul] from the blood of Christ." It is the work of Christ that redeems the believer (1 Peter 3:21). And yet, baptism is not a mere figure. For "at the same time, it has the substance connected" such that God "does not deceive us." It is fully offered and can be fully received. 329 M. Has this grace its effect, promiscuously upon all? C. Many indeed close up the way to it, by their corruption, and make it a vain thing to themselves so that believers only are partakers of this fruit. But that diminishes nothing from the nature of the sacrament. Baptismal efficacy, as in the Lutheran position, for Calvin is linked to faith. The distinction is that Calvin does not postulate the giving of faith in baptism. However, he does not simply declare the offering false and insecure. 331 M. How are these benefits conferred on us by baptism? C. By this we are clothed with Christ, and endowed with his Spirit, unless by rejecting the promises, we render the benefits offered therein to us unfruitful. 339 M. For what purpose then are infants baptized? C. That they may have the visible seal. That they are the heirs of the blessings promised to the seed of believers, and that after they come to years of discretion, the substance of their baptism being acknowledged, they may, from it, receive and bring forth fruit.